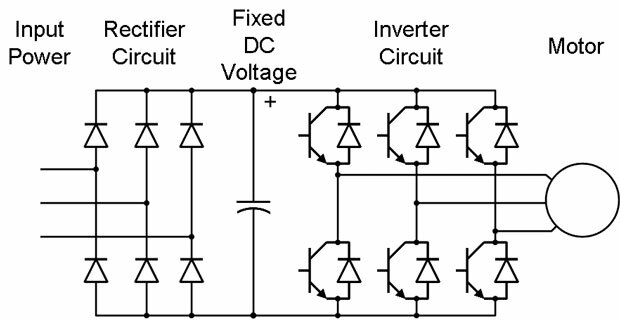 The VFD provides an electronic type thermal overload function that relies on the measured motor current to estimate the thermal conditions of the motor. 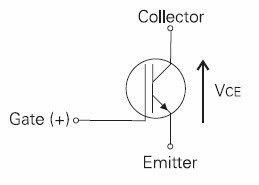 For complete motor thermal protection, microtherms or thermistors should be installed in the motor winding and wired to the appropriate trip relay. VFD Extended Features Option provides a thermistor relay function and other features. 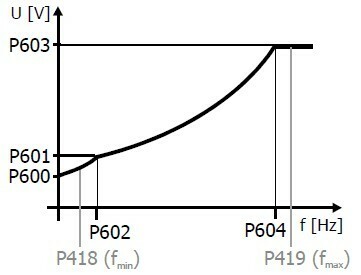 Differences in PWM variable frequency drive designs may result in different cable recommendations between manufacturers. In some countries, the recommended cables may not be available. However, the manufacturer's recommendations should be followed as closely as possible. Proper cabling installation of high-performance PWM variable frequency drives will avoid interference with the operation of other plant equipment, as well as ensure proper operation and life of the connected equipment. Isolating the VFD from the electrical supply must be provided in accordance with your local electrical code. In the event that a second supply is connected to the relay contacts on the control terminal strip (or otherwise brought into the VFD enclosure), suitable marking must be applied to the outside of the VFD enclosure by the installer to indicate the dual supply arrangement in accordance with your local electrical code and other safety requirements. A means of isolating the second electrical supply source will also be required.